As the national elections in May 2019 draw closer, websites claiming to provide ‘authentic news’ are mushrooming, treading a very thin line between propaganda and outright fake news. Over the last several months, BOOM closely tracked one such website ‘Viral In India’ and found them pushing out unverified information which were blatantly false. Here are the 10 Viral In India stories fact checked by BOOM in Hindi and English. Interestingly, Viral In India’s website has been taken down on Wednesday with a message displayed, “Services permanently suspended due to abuse report”. 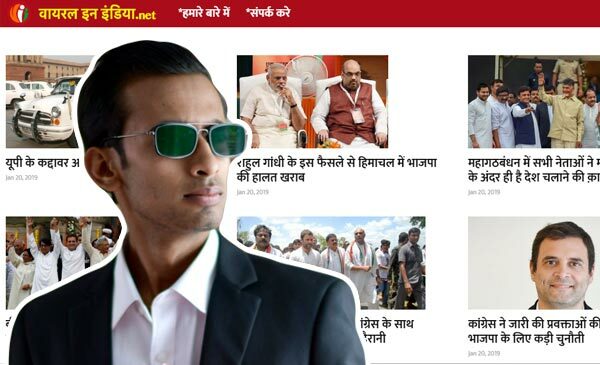 The website’s founder Abhishek Mishra was also taken in to custody by the crime branch unit of the Delhi police from Bhopal on January 22, ruffling several feathers in Madhya Pradesh as the local police were not informed about the arrest. And unapologetic because despite the Supreme Court stepping in to order the ‘Centre and the States to take immediate steps to stop dissemination of fake news or stories on social media, which has tendency to whip up a mob frenzy,’ Mishra defends the articles published on his website in the most brazen retort. Read The Hindu’s report on Supreme Court’s take on fake news. Here are excerpts of BOOM’s conversation with Abhishek Mishra. Bhopal-based Mishra is the admin of the Facebook page Viral In India, and as the name the suggests, with over one million followers, the page is indeed viral in India. 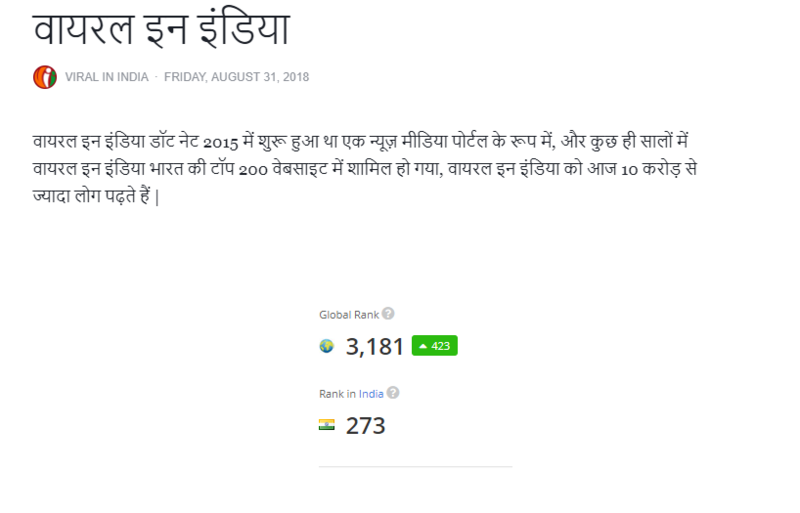 The ‘About us’ section of the page claims that Amazon Alexa has ranked the site 3181 globally and 273 in India. How does Viral In India function? However, not only BOOM but other fact-checking websites have also debunked several of these ‘news that matters’ updated on Mishra’s website. 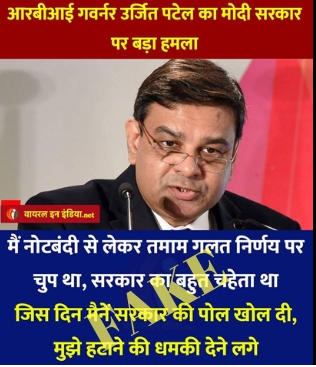 Viral in India’s Facebook page also shares a lot of memes with images of political figures to lend credibility to them. In almost all the cases, they turn out to be fake. “We have seven to eight people working for us. They create the content and upload it. We work as a unit,” Mishra said. While scrolling down their official Facebook page, one can easily make out that the page has a pro-Congress leaning. 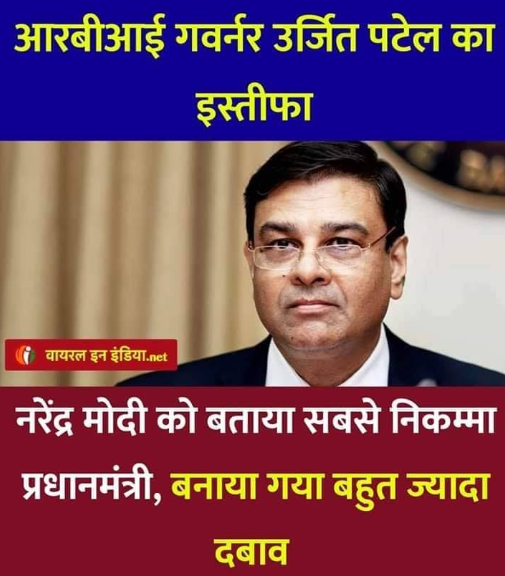 Most of the memes and articles shared on the page clearly target the Narendra Modi-led Bharatiya Janta Party government. Mishra also claims that the 8-10 employees who work for him are all ‘mature’ and don’t operate with a political leaning. “They dedicate their services to Viral… free of cost. We don’t pay them and neither is this page a business model,” Mishra said. He refuted claims of the site being funded by the Congress and claimed that they generate revenue by working for corporate clients and create digital media content. Incidentally, Mishra, who claims to have completed his civil engineering from Bhopal in 2012, used to make YouTube videos before founding Viral In India . Mishra has a YouTube page with 136,335 subscribers. Over the past few months, BOOM had debunked several of the ‘reports’ carried on his web page. So, as we quizzed him on those fakes with facts. Here’s how he responded to some of them. राहुल गाँधी क्या दुबई के ‘फाइटर प्लेन’ से वापस आये भारत ? 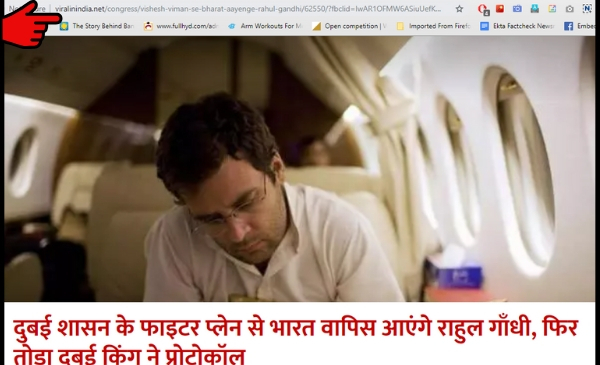 The report, which was debunked on January 14, 2019 by BoomHindi, had claimed in its headline that Rahul Gandhi was being sent back by a fighter jet by the UAE government. It may be mentioned here that Gandhi was on a two-day trip to Dubai and Abu Dhabi earlier this year, and this had given both, pro and anti-right wing pages a chance to churn out fake news in dozens. We also questioned him on the following report. The post was shared widely on an Instagram handle which goes by the name Viral in India. When we shared the picture on the Instagram handle with Mishra, he outrightly denied any instagram page owned by Viral… . Interestingly, a couple of days later, the image was removed from the Insta handle and we were returned to an empty page. क्या आर.बी.आई गवर्नर उर्जित पटेल ने नोटबंदी पर सरकार की पोल खोलने की बात कही ? 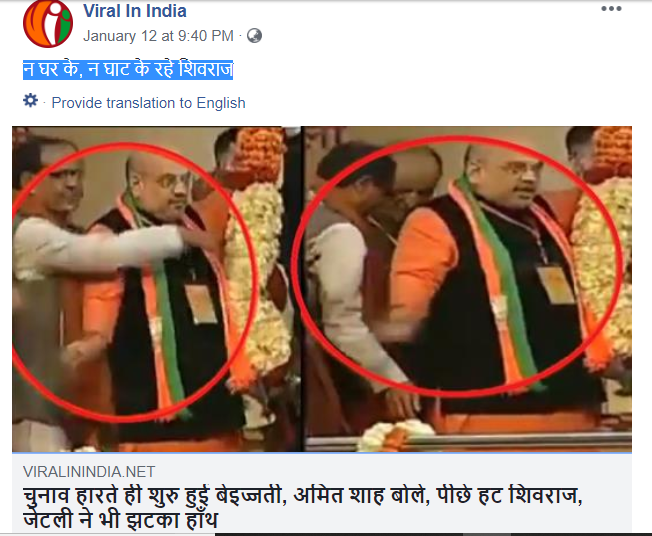 Another fake item that was shared prominently on Viral in India pages was a photograph of Prime Minister Narendra Modi and other BJP leaders including Amit Shah, Shivraj Singh Chauhan, Nitin Gadkari. The claim made in this post was that after Chouhan had lost Madhya Pradesh, he was being treated badly by the party’s Central leadership. Mishra diverted our query on this one too. However, the most bizzare response we got from Mishra was on an article that was debunked by fact-checking website Alt News. The article, which claimed that former CBI director Alok Verma had called Prime Minister Narendra Modi as a corrupt person, was quite viral on social media. However, the report was debunked and Mishra was called out. While Mishra outright denied having connections with any political party, we tried to check this the other way round too. When we called Randeep Singh Surjewala, in-charge, communications, Congress party, he did not pick our call. We will update the story once we get a reply from him. However, an office bearer of the Madhya Pradesh Congress Committee, on condition of anonymity, denied that Mishra had any connections with the party. “He is a social media activist, I guess. But he is not associated with Congress in any way,” he said. 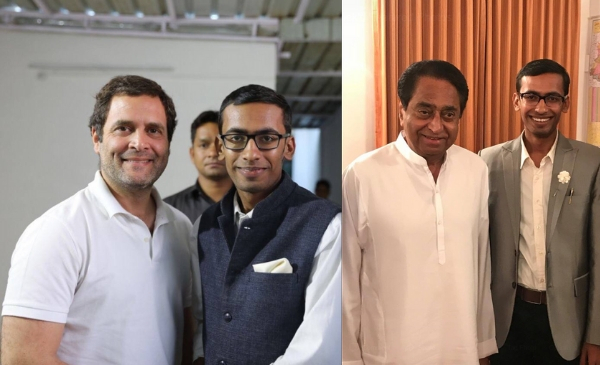 Interestingly, despite all his denials of having a pro-Congress leaning, we found Mishra sharing space with several Congress leaders in pictures shared on his Facebook page. Not once or twice but three times during our conversation, Mishra who claims to champion the cause of ‘true news’ said that he would teach fact checkers like BOOM and AltNews a lesson. 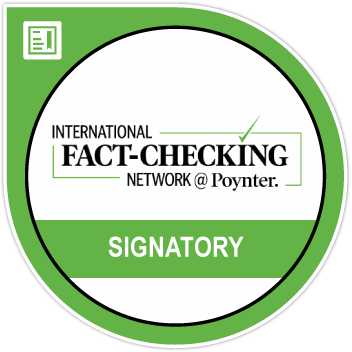 Mishra accused fact checkers for misleading people by calling the reports published by his website, fake.